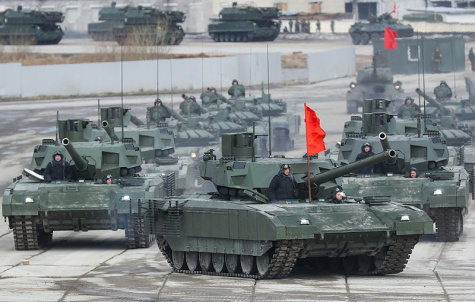 MOSCOW --- Russia’s T-14 tank based on the Armata platform will undergo state trials in the Defense Ministry’s scientific and research institutions next year, the ministry’s press service said on Monday. Earlier, Deputy Defense Minister Alexei Krivoruchko said the Defense Ministry had signed a contract with Uralvagonzavod for the delivery of 132 T-14 tanks and T-15 infantry fighting vehicles based on the Armata combat platform. The supplies are due to be completed by 2021. The T-14 tank based on the Armata platform was shown to the public for the first time at the Victory Day parade on Red Square on May 9, 2015. The new combat vehicle features fully digitized equipment, an unmanned turret and an isolated armored capsule for the crew.